Most insects won’t usually attack a human unless disturbed or provoked. However, bites and stings are still a fairly common occurrence. 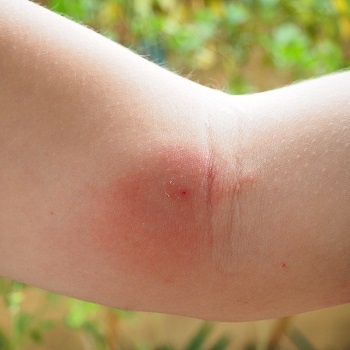 Generally, an insect bite or sting will only cause minimal discomfort, irritation and pain. Bees, wasps, hornets, fire ants, and yellow jackets are members of the Hymenoptera family. 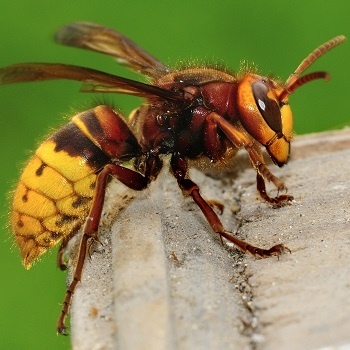 Bites and stings from this species could cause serious reactions in people who are allergic (anaphylaxis), which requires immediate medical treatment. 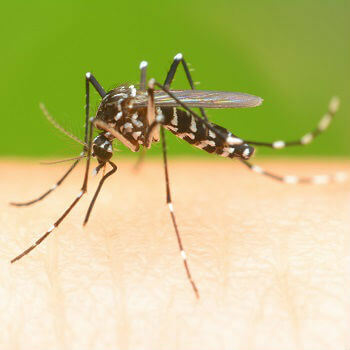 Mosquitos are also common in many countries and can carry a range of diseases, including malaria, dengue fever and various viruses and parasites. 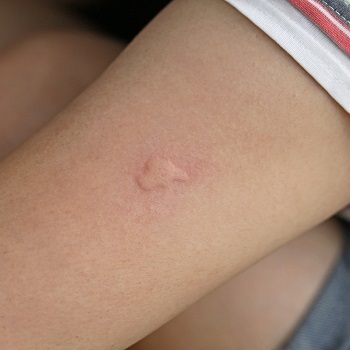 Insect bites of all kinds are at risk of becoming infected and you may notice increased swelling in the affected area, as well as pus collecting in and around the bite. These symptoms will most likely resolve themselves without treatment in a matter of days. If they don’t resolve themselves, or if you experience any of the following symptoms, you should see a doctor as soon as possible. Wear clothing which offers protection wherever possible, such as closed shoes, socks, long trousers and a long-sleeved shirt. This is particularly important when visiting higher risk areas. Wear gloves when gardening and try to avoid venturing outside when not wearing any footwear. Use insect repellent wherever possible. Try not to panic when you encounter wasps, hornets or bees, and back away slowly. Avoid rapid jerky movements around insect hives or nests. If you have severe allergies, ensure you carry an emergency kit and that your friends/family know how to use it if you have a reaction. Removing a sting: If you notice you have been stung by a bee you should remove the sting and the attached sac. Try not to pinch with tweezers/fingers as this could cause the venom to spread. Instead, use a hard surface such as a clean butter knife to scrape away the sting. Treating a sting: Most bites and stings will clear up within a few hours. However, if you notice severe swelling, rashes or any other worrying symptoms, you should consult a doctor who may prescribe allergy medication. Similarly, if you’ve been to an area where insect-borne diseases are common and notice you’ve been bitten, it’s well worth getting checked up. Our GPs can examine your insect bite, diagnose whether it could pose a serious problem and if required, prescribe the medication you need to tackle the problem. Getting bitten by an insect while abroad can have a range of unfortunate consequences for your health. Prior to visiting a high risk area, it’s important you research your destination and speak to a professional about any precautions you can take. Whether you need a risk assessment prior to travel, or you’re returning from abroad, you should check in with a doctor to ensure you do not need any vaccinations. And if you’ve recently been bitten and are suffering from symptoms that are concerning you, talk to a GP without delay. Often, identifying that there’s a problem as soon as possible can improve the effect of treatment, management and recovery processes.